Unfortunately many of these software platforms have the ability to automatically update, and so entire divisions of employees can come in in the morning and be unable to work. When this happens, speed is of the essence. Trying to perform such an upgrade across an entire organization can be rather time consuming. You could have regular I.T. staff work expensive overtime. Alternatively, trying to perform the upgrade during working hours leaves employees waiting around for installations to complete. Instead, why not call Central I.T? The best computer repair in Birmingham, AL; We can bring sufficient staff to quickly help you in such a situation. In some situations, remote support can be configured for even more rapid response times. We can also perform upgrades on servers. We'll backup your data, upgrade whatever software you request, then restore the data and test basic functionality where applicable. We also work on personal computers. We can upgrade any software you use, including Windows. 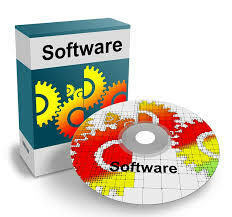 We'll also reinstall your old software that is compatible with your new operating system version. Don't let software version problems cause stress or loss of productivity. We have been supporting the Birmingham community for over 8 years, and our outstanding customer service has provided steady growth throughout that time. Call us for a quote, we have the best prices in Birmingham, AL and we'll do our best to provide the best support experience you'll ever have.